There’s nothing like pizza and conversation on Election Night to bring together civic-minded young voters from across the political spectrum. 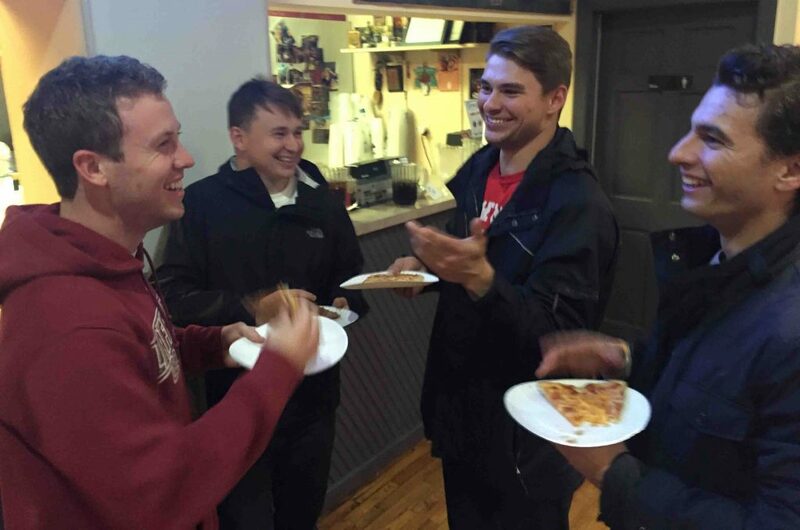 Members of Lafayette’s Policy in Action Club, College Democrats, College Republicans, and Prof. Mark Crain‘s Political Economy class gathered at Campus Pizza after the polls closed on Tuesday to watch the returns and reflect on one of the most dramatic and expensive midterms in modern history. 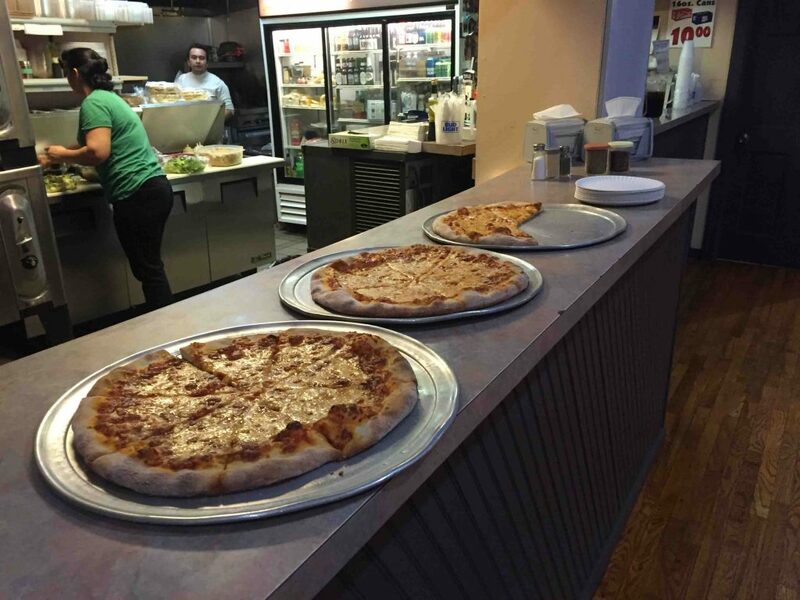 As steamy pies came out of the ovens, laptops flipped open and eyes gazed at the two large-screen TVs in the pizzeria, which took on the buzz of a campaign headquarters. As the local and national campaigns heated up this fall, Lafayette students refused to be cast as apathetic young voters. Weinstein said the Policy in Action Club registered more than 50 voters among the student body during a sign-up drive at Farinon College Center. Members of College Republicans agreed that the right to vote should not be taken lightly. “We’re lucky to have it; it’s a constitutional right that shouldn’t be taken for granted,” said Kayla Magee ’19, co-president of College Republicans with Nicole Eng ’19. 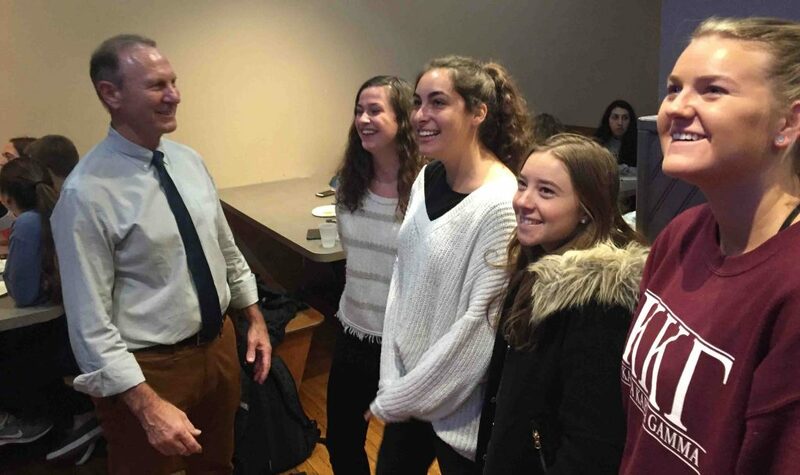 Crain, Simon Professor of Political Economy and chair of policy studies, mingled with students throughout the night as polling results trickled in. 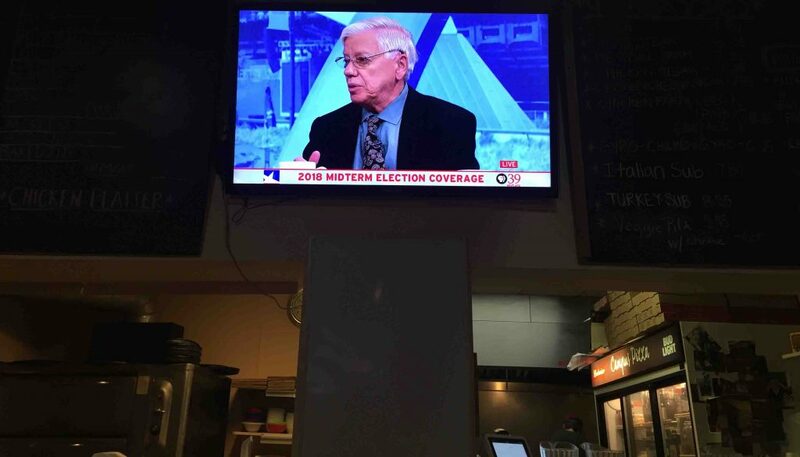 A cheer went up when government and law Prof. John Kincaid appeared on PBS39’s live election night panel of political scientists that discussed the implications of the midterms.